Fall in love with freeride. Experience the thrill of fresh powder skiing without heading into the backcountry. Keep an eye on your Powder Alert. 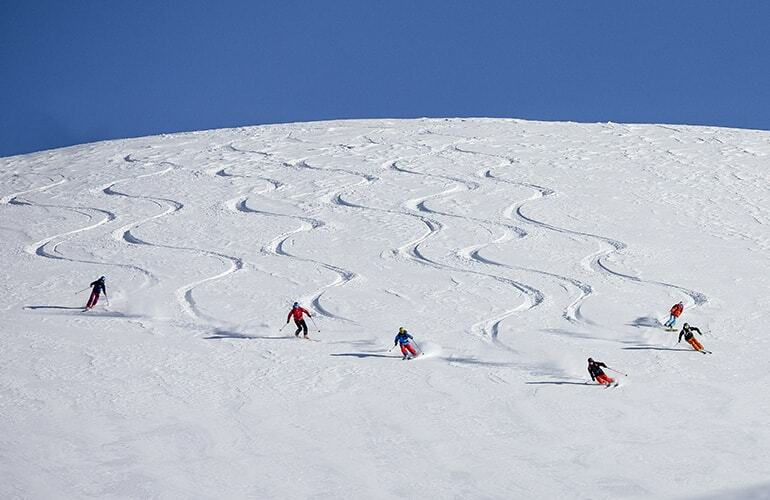 When the snow arrives, carve your line down a marked, ungroomed piste. To give skiers a chance to safely try off-piste techniques, after each snow dump, Carosello 3000 will leave one piste ungroomed for just one day. 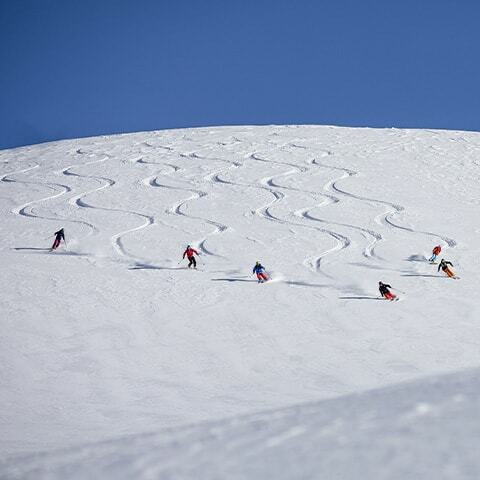 The Double Black - Powder Slopes are recommended only for expert skiers. Compared to backcountry areas they offer the advantage of being marked and monitored by our Rescue Team. These pistes are chosen so they can easily be avoided by skiers who want to stay on the groomed pistes. The Powder Slopes last for just one day. To find out when and where you can ski on a Double Black piste, sign up for Powder Alert to get notifications on big snow dumps, and keep your eye on our Facebook page to see where the Powder Slope is.